Description Same as 909a. Mounted on cardboard. Loose caption: These pictures are taken inside the City Hall, built in 1926. This room was used for City Council meetings as well as for the library. 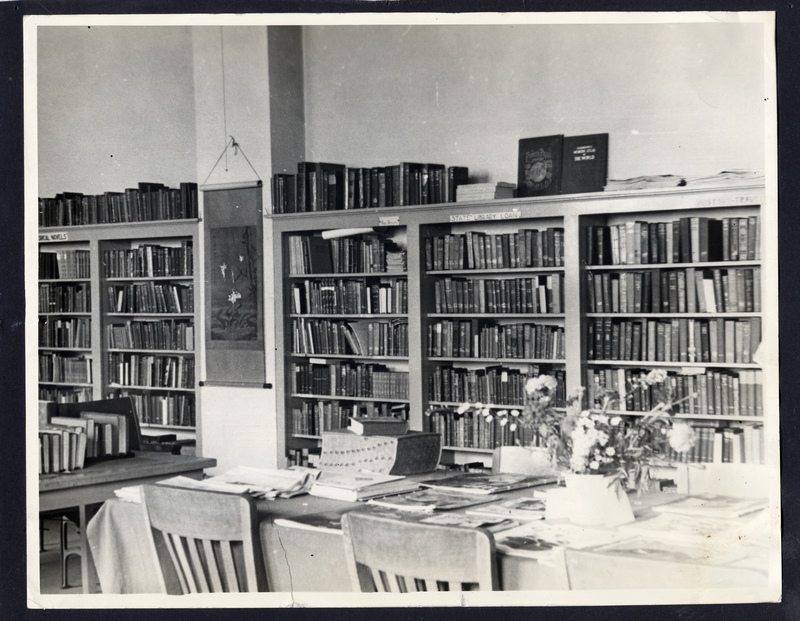 Lucia Bliss and Mary Strachan were librarians of this facility. The library remained here until it was moved to the new building at 4th Avenue and D Street in 1962. Physical Description H 8.5" x W 10.5"